The vote count for the country’s most crucial general elections is underway after the polling ended at 6 pm on Wednesday evening. Based on reporting of 20 per cent National Assembly seats, Pakistan Tehreek-e-Insaf (PTI) is leading in 105 constituencies. The Pakistan Muslim League-Nawaz (PML-N) is trailing behind with 71 while Pakistan People’s Party (PPP) is at the third spot with 39 seats. Following is the list of unofficial and unconfirmed results of major contests and upsets, received till the filing of this report. NA-131 Lahore: PTI chief Imran Khan bagging 8,033 votes is in the lead against PML-N’s Khawaja Saad Rafique who has managed to secure 7,644 votes so far. NA-132 Lahore: PML-N President Shehbaz Sharif has bagged 84,362 votes against PTI’s Mansha Sindhu who has managed to secure 52,213 till now. NA-156 Multan: PTI’s Shah Mehmood Qureshi has won the polls in NA-156 Multan-3 by securing 93,500 votes against PML-N’s Amir Saeed Ansari who is the runner-up with 74,624 votes. NA 63 Rawalpindi: Disgruntled PML-N leader contesting the polls as an independent with the electoral symbol of jeep, Chaudhry Nisar Ali Khan, in a major upset, is behind PTI’s Ghulam Sarwar Khan with 12,516 votes against Sarwar’s 21,174. NA-125 Lahore: PTI’s Yasmin Rashid with 22,487 votes is behind Waheed Alam Khan of PML-N who has managed to secure 24,590. NA 130 Lahore: PTI’s Shafqat Mahmood is in the lead with 37,123 votes against PML-N’s Khawaja Ahmad Hassaan who has secured 29,907 votes so far. NA-129 Lahore: PTI’s Aleem Khan is in the lead with 21,566 votes against PML-N leader Ayyaz Sadiq who, so far, has bagged 20,996. NA-72 Sialkot: In another upset, PTI’s Firdous Ashiq with 27,099 votes is behind PML-N’s Armaghan Subhani with 56,047 votes. NA-124 Lahore: PML-N leader Hamza Shehbaz is in the lead with 48,070 votes while PTI’s Nauman Qiaser has so far received 25,168 votes. NA-78 Narowal: Ahsan Iqbal of PML-N is in the lead with 53,221 votes while PTI’s Abrarul Haq stands at the second place with 26,189 votes. NA-158 Multan: PPP’s Yusuf Raza Gillani with 18,219 votes, stands firm on his home ground with PML-N’s Syed Jawaid Ali Shah trailing behind at 16,685. NA-62 Rawalpindi: AML chief Sheikh Rasheed Ahmed is in the lead against PML-N’s Daniyal Chaudhry with 12,741 and 8,645 votes, respectively. NA-200 Larkana: PPP’s Bilawal Bhutto Zardari leading against MMA’s Rashid Soomro. NA-213 Shaheed Benazirabad: PPP’s Asif Zardari leading against GDA’s Sardar Rashid Mehmood. NA-220 Umarkot: PTI’s Shah Mehmood Qureshi losing to PPP’s Nawab Muhammad Yousaf Talpur. NA-244 Karachi: PTI’s Ali Zaidi leading against PML-N’s Miftah Ismail. NA-246 Karachi (Lyari): PPP Chairman Bilawal Bhutto Zardari leading against PTI’s Abdul Shakur. NA-247 Karachi: Dr Arif Alvi of PTI leading against MQM-P’s Farooq Sattar. NA-31 Peshawar: PTI candidate Shaukat Ali received 30,132 votes while ANP leader Ghulam Ahmed Bilour accepted his defeat as unofficial and unconfirmed results announced. According to results, Bilour managed only 14,200 votes. 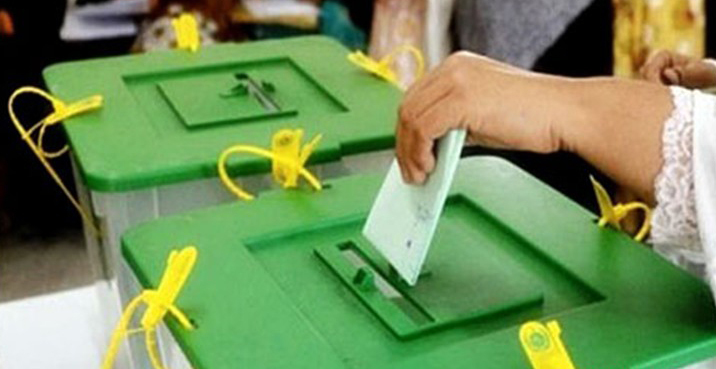 NA-14 Mansehra: PML-N candidate Muhammad Sajjad is ahead with 7,214 votes from PTI’s Zar Gul Khan who received 6,404 votes, according to preliminary results. NA-9 Buner: PTI’s Sher Akbar Khan is ahead with 8,889 votes, as compared to PML-N leader Kamran Khan who got 4,908 votes, the unofficial results showed. NA-28 Peshawar: PTI’s Arbab Amir Ayub is ahead with 6,815 votes while ANP leader Shafi Akbar has 1,127 votes. NA-1 Chitral: PPP leader Saleem Khan received 239 votes while Moulana Abdul Akbar Chitrali received 188 votes, according to the preliminary results. NA-257 Sherani: MMA candidate Maulana Abdul Wassay leads the polls with 16,440 votes with NP candidate Abdul Rauf trailing behind with 6,917 votes. NA-258 Harnai: PML-N candidate Khan Nasir leads the polls with 2,292 votes, MMA’s candidate with 1,940 votes, BAP Israr Tareen with 1,678 votes at the third spot. PkMAP leader Habibur Rehman has so far managed to secure only 156 votes. NA-260 Jhal Magsi: PTI Balochistan President Yar Rind leads the polls with 110 votes with BAP’s Kahlid Magsi trailing behind with 56 votes. NA 261 Sohbatpur: PTI’s Khan Jamali lead the polls with 23,489 votes, and perhaps the most number of votes cast in any constituency, with PPP candidate Mir Changez Jamali getting 8,813 votes.